Recently, I was searching for material in connection with the phrase "seeing is believing". I stumbled on a 2017 article called Believing is seeing and seeing is believing by Daniel Christian Wahl. It includes the "Ladder of Inference", a concept that was developed by Chris Argyris, "American business theorist and Professor Emeritus at Harvard Business School". 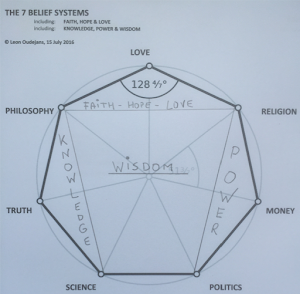 Much to my surprise, it combines several of my blog labels & topics: assumptions, beliefs, expectations, perception, and my concept of the 7 Belief systems. 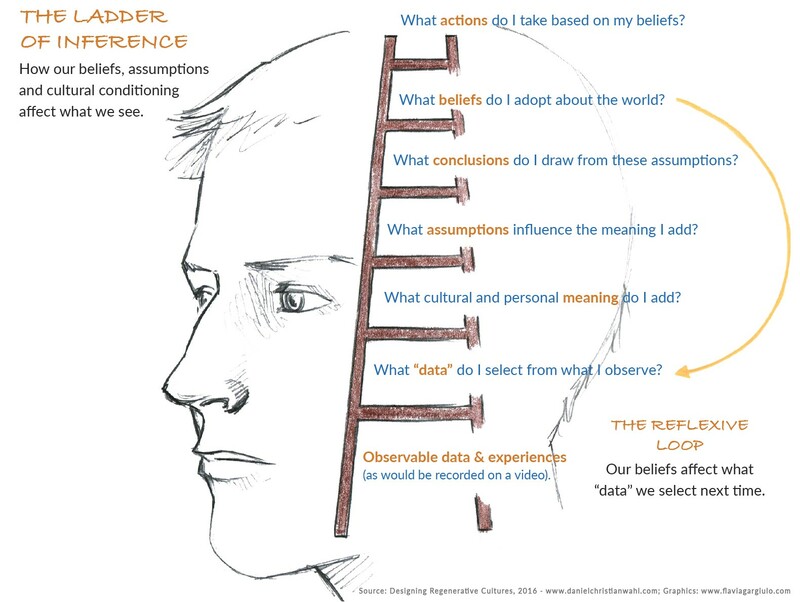 The Ladder of Inference combines these topics in a natural order: seeing, comparison with past experiences, using assumptions to fill the blanks, resulting perception, comparison with beliefs, and a conclusion in conformity with one's beliefs. Hence, believing is seeing and seeing is believing. 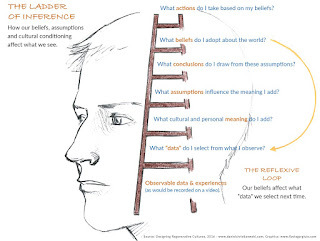 This Ladder of Inference also supports my recent 2018 blog: Disbelief and the 7 Belief systems. Disbelief lies at the heart of Homo sapiens rather than the 7 Belief systems or Wisdom, which I originally assumed to be at the human core. Now, I must assume that we need and want our beliefs to cope with our fundamental disbelief. Disbelief is the left vertical bar of the ladder, while Needs, Wants and Beliefs (my blogs) - and perhaps also Awakening - are the individual horizontal steps on this Ladder of Inference. If disbelief were indeed at the heart of human behaviour then it may explain human irrationality. The science of human irrationality has led to fields like behavioural economics and Dan Ariely's 2008 best-selling book Predictably Irrational (eg, NYT, Scientific American). Quartz, 2017: "In the 1970s, two psychologists proved, once and for all, that humans are not rational creatures. Daniel Kahneman and Amos Tversky discovered “cognitive biases,” showing that that humans systematically make choices that defy clear logic." “I guess love is the real suspension of disbelief.” A quote by Melissa Bank from her 1999 book The Girls' Guide to Hunting and Fishing (eg, NYT).